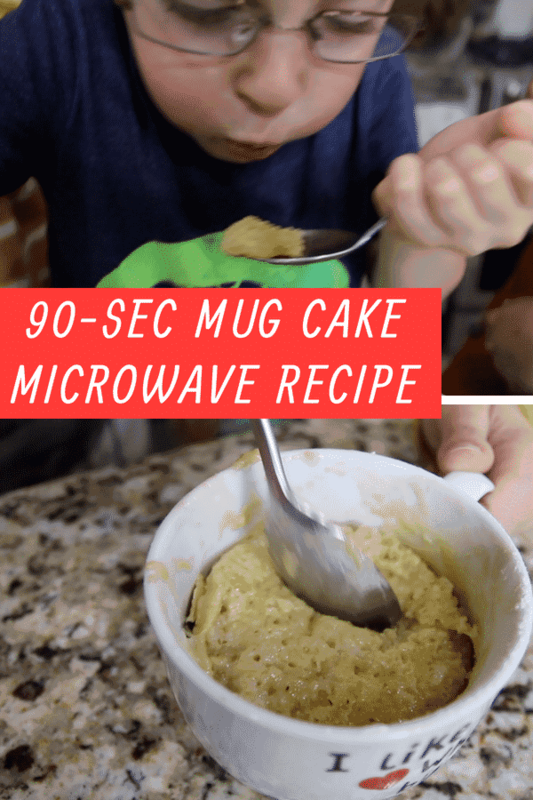 If you want to know how to make A mug cake in the microwave, check out this recipe! Super easy to make and it only takes 90 seconds to cook. You cannot beat that, right?! The kids wanted to make a mug cake in the microwave after dinner and at first, I wasn’t really into it but then I decided that we should give it a shot. and so I wanted to give it a try. It was so easy to make! And you know what? It tasted fantastic. Of course, my three wanted to help out which was fun for the video but it did make things a little messy. LOL. If you made this on your own, it would come out much cleaner – I promise. But even with all of the extra hands, this mug cake came out delicious. I found a recipe that used all ingredients that we actually already had in the house. They are pretty much staples. Think – flour, sugar, eggs. Things like that. If you want to make a chocolate cake, you need cocoa powder. Unfortunately, I didn’t have any of that. However, I was thinking… I wonder if you could use Hot Chocolate mix as a substitute??? Probably right??? Mug cakes are a truly a breeze! 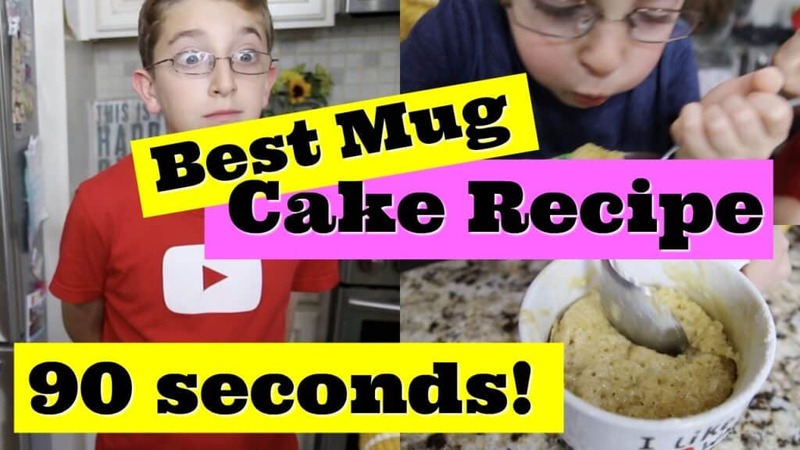 Have you tried mug cake recipes before? What do you think? I think I want to start looking up more microwave recipes – especially mug cakes. When the kids go to sleep… if I need something sweet… I now know what to do. HA! You also need to spray your mug with nonstick spray. Combine all the ingredients and bake for 90 seconds. As you can see in the video, we shared this mug cake and all ate it together. At first, we were each going to make a mug and eat is one our own. But it really was a lot of cake. If you are truly looking for a quick bite of something sweet, you can absolutely share this with another person at night. So, I would try to make one first and see how the two of you feel. If you think you need another one, then make another one. But my guess is you will probably be good with sharing one.